New Rental Tuxedos and Suits for 2012! We’re pleased to announce our new men’s formal wear for 2012! After working with tuxedo rental stores as well as the public across the country, we’ve purchased the seven exciting new styles below (five tuxedos and two suits) to add to our rental offering for 2012. All new tuxedos, suits, and accessories will be available for rental in the Spring. 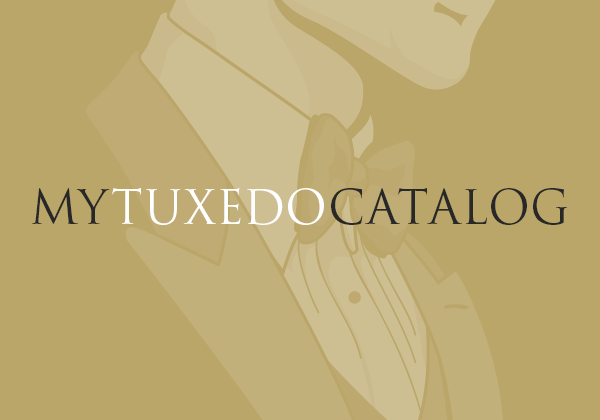 To locate a rental tuxedo dealer in your area, visit the Dealer Locator at the top of the page! Click on the pictures below for all the details and to see alternate images and their matching accessories. 7 Exciting New Tuxedos & Suits! Grey Tuxedos continue to grow in popularity, so we have added the Jean Yves Heather Grey ‘Twilight’ Tuxedo, as well as the satin-less suit variant. They are made in the same updated slimmer fit of the Steel Grey ‘Twilight’ we purchased last year that was so successful. The tuxedo has a satin lapel and top collar with self trim, and is made of fine Super 100’s material making it lighter and more comfortable, which is perfect for beachside or destination weddings! The tuxedo and suit will have a matching three button vest and self material bow tie. We expect these styles to be exceedingly popular this year! For a more in depth look, check out our review of the Heather Grey ‘Twilight’ Tuxedo. 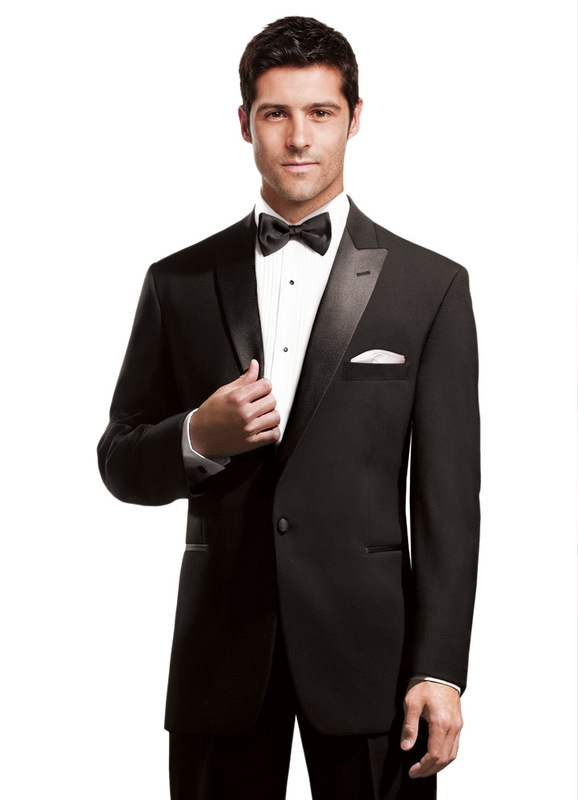 This elegant tuxedo and suit will be available for rental this spring. Also new this year are two tuxedos from Mike ‘the Situation’ Sorrentino of TV’s ‘Jersey Shore’ fame. The Situation teamed up with the great folks at FLOW Formals and released several fashion tuxedos designed to show that your tuxedo doesn’t always have to look like the classics you see in old movies! Both tuxedos have an updated, slimmer fit, and are made from tropical worsted wool. 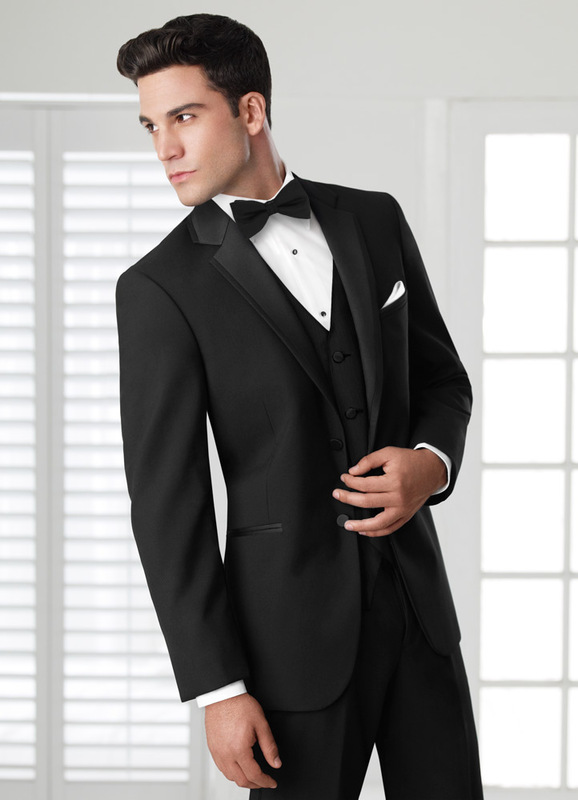 The ‘Avalon’ tuxedo has a two button front with peak lapels trimmed with satin. So far, the design is fairly standard, but what makes the ‘Avalon’ Tuxedo unique are the 1/2 inch satin bands that run over the shoulders and down the front. For more information on the Situation’s ‘Avalon’ Tuxedo, check out the review we did last month. In addition to the ‘Avalon’ Tuxedo, FLOW also released under the Situation label the ‘Asbury’ Tuxedo. The ‘Asbury’ has two defining features: a ticket pocket on the right side, and pick-stitching on the lapel! Celebrity personality Mike ‘the Situation’ Sorrentino looks very fashionable, and his signature line of beautiful tuxedos will look great on you too at prom or any other formal event! Both tuxedos will be available for rental this spring. The Black ‘Twilight’ Tuxedo is a beautiful new interpretation of formal wear that fits beautifully and has all the right features. It has the same specifications and features as the previously mentioned Steel Grey and Heather Grey ‘Twilight’ Tuxedos, including a satin lapel and top collar with self trim, two button front and side vents. The updated, slimmer silhouette fits beautifully, especially for a rental garment. It has a matching three button vest, and pre-tied bow tie. Perfect as a wedding tux, prom tux, or any other formal occasion, the Black ‘Twilight’ Tuxedo will be available to rent this spring. Ready to see all the new accessories? Check back soon, our accessories blog post will be up in a few days. As always, we love to hear from you! Feel free to ask a question or leave a comment below! 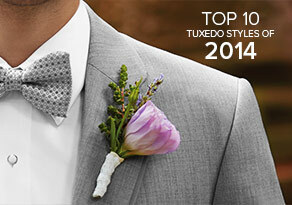 The Top 10 Most Popular Rental Tuxedos for 2012! New Tuxedos and Suits for 2011!